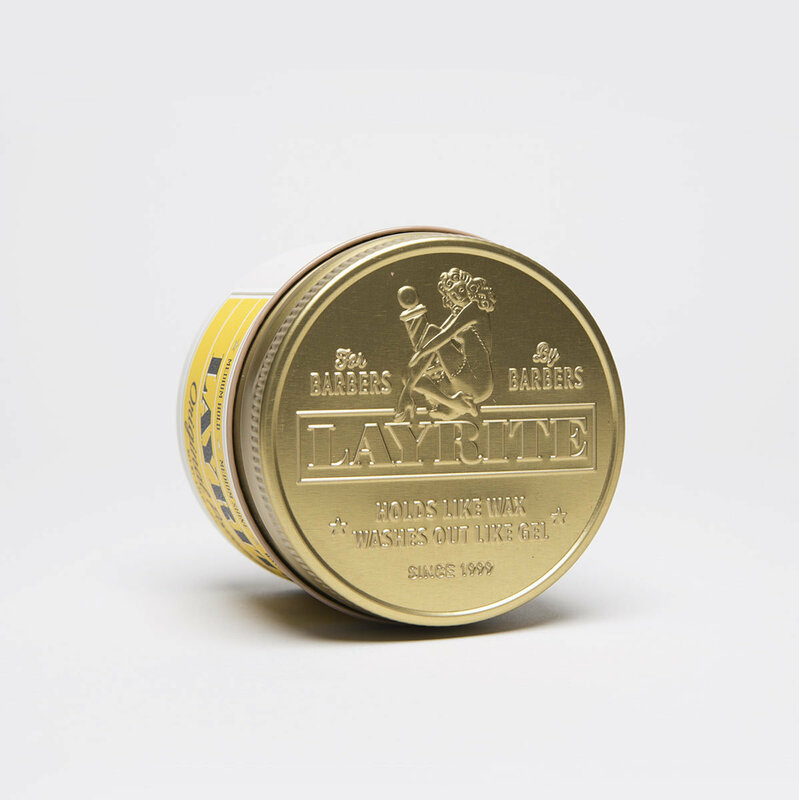 shop only the finest hair care products in the industry right here! Made with conditioners naturally-derived from coconut oil + caster oil. Smooths the hair by going deep within the surface of the hair shaft to lock in moisture, providing luster and shine while taming the fizz. The drier the hair, the higher the hold. 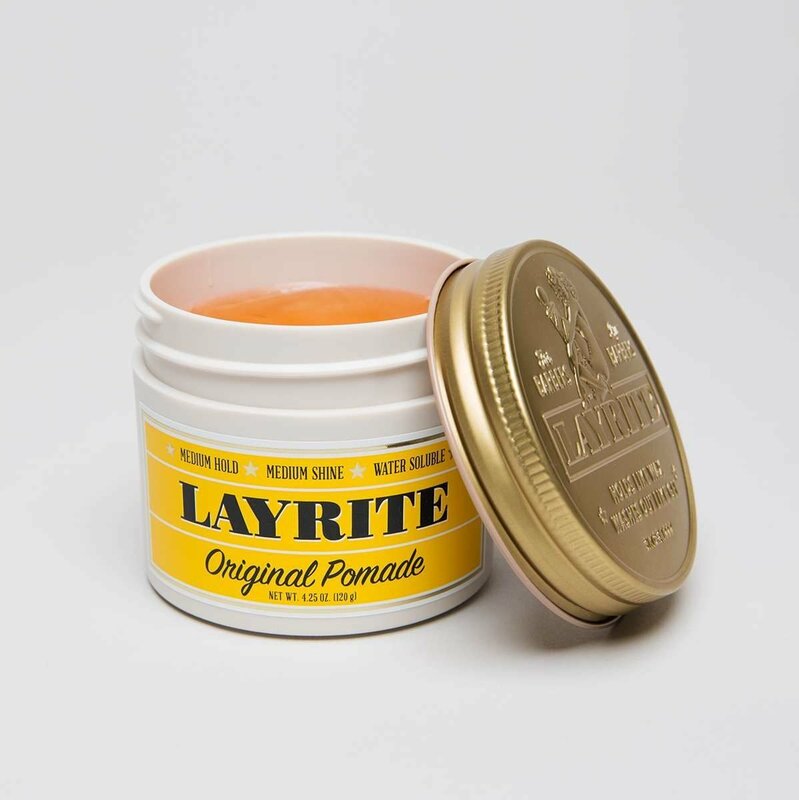 When hair is damp, apply Layrite Grooming Spray as a primer to get the most out of Layrite Original. REMEMBER: The drier the Hair, the higher the Hold! 1- Apply a small amount, known as a dab, to palms. 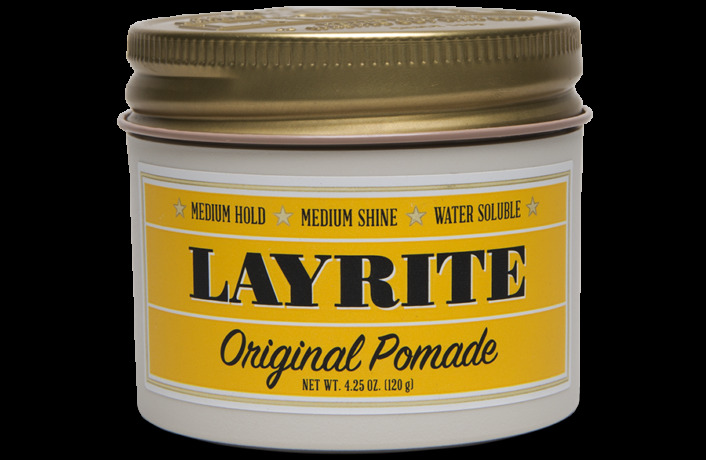 2 - Distribute evenly through damp or dry hair and style as desited. 3 - Wet comb or fingers and run through hair to restyle anytime. 4 - Rinses out with water alone.